The cyber charter school sector is one that’s often considered to be in a league of its own. While meeting educational benchmarks is of utmost importance to teachers and administrators, the non-traditional setting often prompts many questions from pupils and parents alike. One of the frequently-asked questions is about extra-curricular activities. A cyber charter school doesn’t have a traditional brick-and-mortar footprint, so how do these students enjoy themselves in social settings outside of their online school programs? Pennsylvania’s 21st Century Charter School (21CCCS) is one provider of online school programs with an answer, which we’ll learn more about below! Victor K., left, and Shaw S., right. 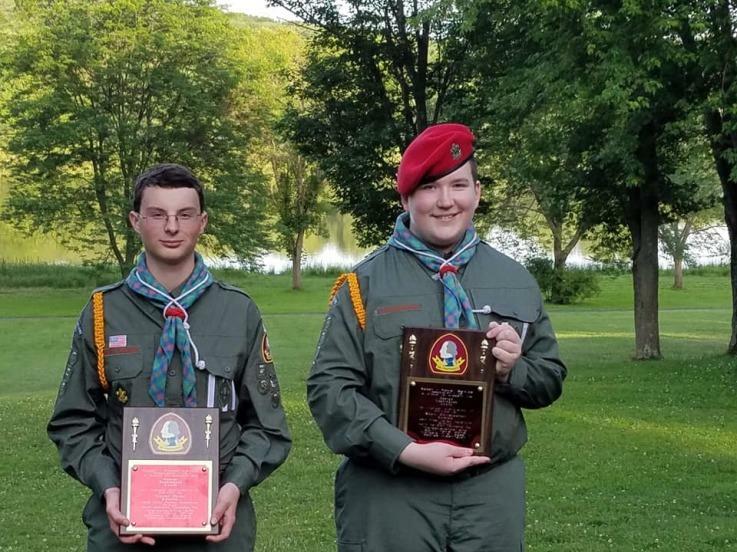 On Friday, June 29, 2018, a group of friends and family gathered at Lackawanna State Park, in Pennsylvania, to celebrate and applaud two outstanding young men on their historic achievements. Victor K. and Shaw S., both students of online school programs at 21CCCS, are Pathfinders with the 68th Frost Hollow BPSA-US. The two young men are the first in the country to achieve the prestigious awards of the Bushman’s Thong for scouting skills and the George Washington Award for service. Both young men also earned the Gold All-Round Cord for completing well beyond the 18 required “special proficiency” badges. Troop Leader Victor K., 17, is a quiet yet decisive youth who has some impressive credentials already under his belt. 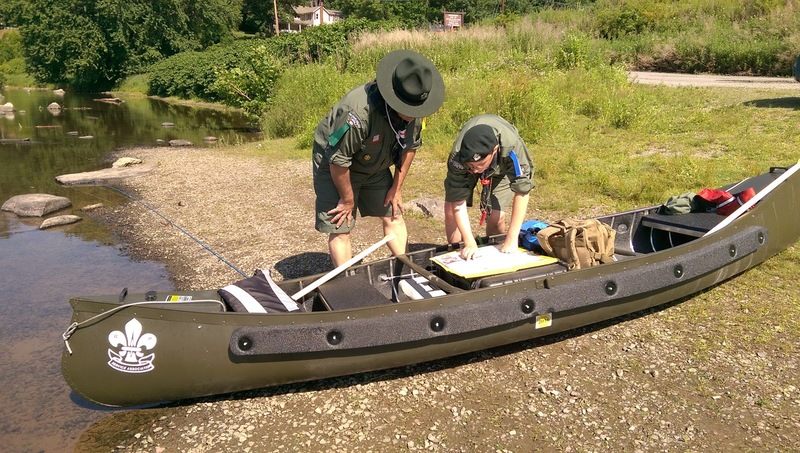 While Victor can usually be found breaking in new mountain bike trails through the woods or enjoying target shooting, he also enjoyed leading the 91st Sojourners of upstate New York and the 818th Storch of Germany through challenging canoe camping expeditions along the upper Delaware River region. Shaw created a complete camping kit, which he donated to be raffled to benefit the local fire company. Owl Patrol Leader Shaw S., 15, is an eager learner. He passionately pursued his goals to learn traditional skills. As a NOAA Advanced Certified Skywarn Spotter, he was in charge of keeping the troop abreast of weather conditions, moon phases and nighttime navigation. Shaw also served as the Junior Camp Warden for the 2017 BPSA-US Northeast Regional Moot, hosting over 150 fellow adventurers. Both young men have earned “Arrows” for leadership skills, as well. These Pathfinders, proud to be the first, have individually taken varied paths through different proficiencies to achieve these highest awards. The Bushman’s Thong for bushcraft skills can only be earned after a Pathfinder completes a solo overnight journey. Victor cycled his 30-mile journey on the Lackawanna Heritage trail while Shaw chose to canoe the Susquehanna River, camping on an island. After they completed their quests, the real work of earning bushman proficiencies — like Explorer, Tracker and Senior Navigator to name a few — began. The George Washington Award is modeled after the original King’s Scout badge of the traditional program in the United Kingdom. The George Washington’s Scout badge is awarded to Pathfinders who, through the passing of the required public service proficiency badges, are showing their current ability to provide civic and public service to their community, state, and country. Pathfinders are always prepared and George Washington’s Pathfinders are doubly prepared to render service when called on or in need. 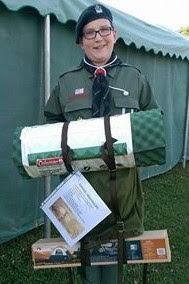 Baden-Powell Service Association — US is co-ed, all-inclusive, traditional scouting for adventurers of all ages. The aim is to promote good citizenship through community service, self-discipline, loyalty, self-reliance, worthwhile life and outdoor skills. “Traditional Scouting” generally refers to “old-fashioned” Scouting, which consists of the original elements in Lord Baden-Powell’s Scouting scheme. This includes what B-P called “Proficiency Badges” (“engraved with the symbol or the deed for which it is given,”) Scouting games, Patrol method and advancement based on standards rather than competition. Both young men will be continuing their education as juniors through online school programs at 21CCCS. Moreover, both are looking forward to continuing their adventures as Rovers (adult scouts) with the North Woods Rover Crew. 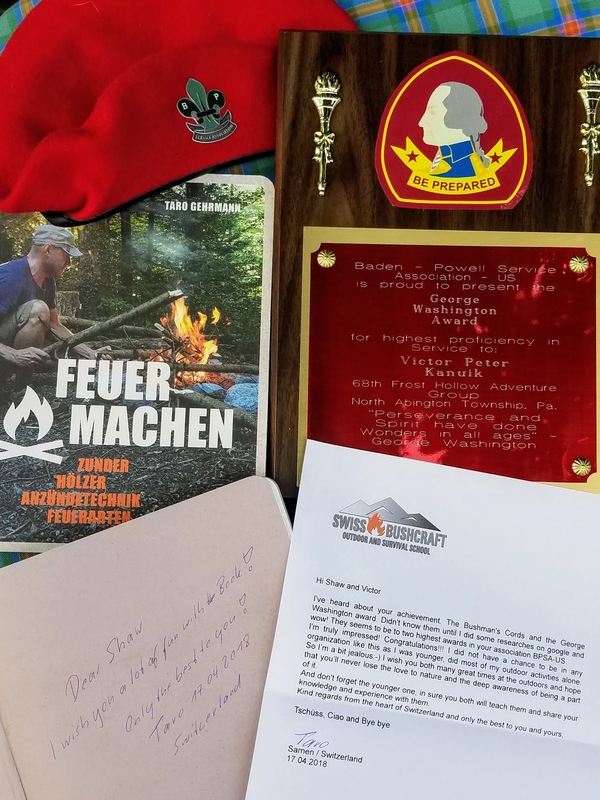 Pictured above, congratulations gifts from Feuer Machen’s author, Taro Gehrmann, came all the way from Switzerland.